We are a boutique online marketing service and our goal is to help you get noticed online. Our specialties are social media management, SEO + content creation, Google Adwords and email marketing. We only take on a small number of clients so your business will be more than a number to us. We pride ourselves on providing detailed reports so you know exactly how your money is spent. You will notice a difference with Online Uprising. Tailor a package to suit your online presence. Check out some sample plans below. All prices are in Australian dollars and exclude GST. Advertising budget for Google AdWords, Facebook ads and LinkedIn ads is an additional expense and not included in the above pricing. For more information contact us below. Online uprising is a small, boutique online marketing agency. We are agile and able to deliver a personalised service. This means you will be dealing directly with one of these guys below. 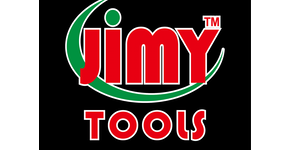 Online Uprising has been instrumental in the world of social media for Jimy Tools & Equipment. They have been very insightful and knowledgeable in the way they have managed the various social platforms and this has resulted in strong following in a short amount of time. Joel and Joseph are professionals who have consistently demonstrated great understanding of their clients’ needs producing a great result. We would strongly recommend Online Uprising to any business which is considering social media as part of their online marketing strategies. Elk at Falls, a boutique ski lodge and apartments at Falls Creek, engaged Online Uprising earlier in 2014 to provide social media services. Prior to this we had no social media presence or newsletter functionality. The staff have been flexible, responsive and innovative in their delivery of our product to our prospective guests. It has definitely helped get our brand out to the market and we are now using Online Uprising for our other business interests. I have no hesitation in recommending their services. Online Uprising has helped Commercial Property Guide with our social media management over the last 9 months and we couldn't be happier. We have increased our exposure on all social platforms, not having to worry about the content and see our reach and "Likes" increase. I would recommend Online Uprising team to any business that needs assistance with enhancing their exposure online.